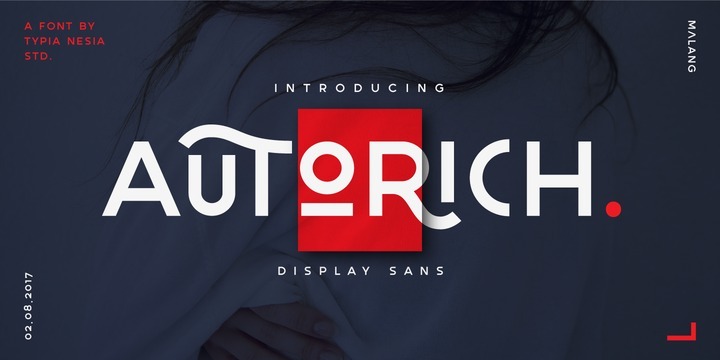 Autorich Sans is a display sans serif typeface created by Arief Setyo Wahyudi and published by Typia Nesia which is in two sets of upper case, almost 60 ligatures and some alternate. It has usefull OpenType features and multilingual support. It is ideal for poster, magazine, headline, text, branding and so on. Enjoy! A font description published on Thursday, September 7th, 2017 in Arief Setyo Wahyudi, Fonts, Typia Nesia by Alexandra that has 2,591 views.